First of all, let's talk about the banking sector here in Mozambique. I would like your opinion regarding recent developments and the difficult economic situation, with the country facing the beginnings of a crisis. What is your assessment of the banking sector in this context? Thank you very much, first of all, for giving me the opportunity to talk on behalf of Millennium bim, about the banking sector and Mozambique's economy, which has faced a very challenging year. GDP was meant to grow 7.5% by the end of 2015, but it grew no more than 6%, so there is clearly a slowdown in the economy’s pace of growth. Along with this, we saw a huge devaluation of the Metical vis-a-vis the major currencies Mozambique deals with, such as the South African Rand, the US Dollar, as well as the Euro. This was most notable towards the end of last year, with a significant devaluation, amounting to over 50% against the US Dollar, which is very marked. In addition, inflation also picked up, particularly affecting food and beverages, with a significant increase at the end of the year. Overall, we had an inflation rate of over 10% in 2015, while the forecast was in the region of 5%. So we saw some big changes in the economy. As a result, the Central Bank had to intervene in the market, and it basically did so in order to try and counter these problems, such as inflation and foreign exchange devaluation. The Central Bank started a process of increasing the interest rates, where the base rate was 7.5% in mid-2015, but rose to 10.75% by the end of the year, which is a large increase. Secondly, it also increased banks’ mandatory reserves, which went from 8% to 10.5%. 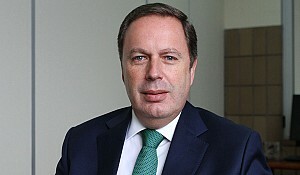 Through these two measures, the Central Bank essentially sought to discourage increases in credit, by making it harder for companies and individuals to acquire credit, because of the financial cost; as well as making it harder for banks to issue credit, since their liquidity had been reduced, by increasing the central or 'mandatory' reserves, which naturally put pressure on banks when it came to lending money. These two measures had a huge impact on the economy. We saw small banks with liquidity issues towards the end of the year, and credit clearly slumped. For 2016, we don't expect major changes in this respect. I believe we will continue to see the Metical devalue, as well as increased inflation. Not at the same pace we saw at the end of last year, but we're bracing ourselves for a challenging year ahead. What do you think is going to be the Central Bank's policy this year? I have no idea. That’s always the million-dollar question, but it will mostly depend on how the Government deals with the main issues affecting the economy, in particular how it goes about securing financing to meet its current needs. We have been here for 21 years and we want to stay here another 50, so we are not here just to make a small investment, take the profit and leave. We are here to stay, which I think is the best proof that we trust the country and we understand the country has a long way to go. We know that Mozambique has a chronic budget deficit. There’s a chronic trade balance deficit and, as such, the Government needs to cover the shortfall every year through Foreign Direct Investment, donations and foreign debt. These are the three main ways the country is able to finance its needs. If the Government is indeed able to finance the country's needs, in a smooth way, we may well see a stabilisation of the macroeconomic environment, and the Central Bank can then ease conditions and allow the banking sector to develop faster. Otherwise, we believe that the current tight scenario will continue. How will they manage to secure the funds? In your opinion, what will make the difference, in terms of whether they'll be able to pull things off or not? There are basically two main issues. One is political stability. The country is facing some turmoil in this regard. But what concerns us most are the decisions relating to the development of major projects. Everybody knows about the expectation and the anxiety that has built up in the markets, with regards to these decisions. We know that Mozambique can take a long step forward if these projects go ahead. Everybody has been waiting for a year or two already for this to happen. If it does, we believe things can change dramatically. The issue seems to be the big projects then, and you're just waiting for the go-ahead. Is this something for the Mozambican Government to decide? Partly yes, partly no. Yes at the outset, meaning that the delays we've seen are said to be due partly to ongoing negotiations between the Government and the operators. As we know, commodity prices have been depressed worldwide, so we can imagine how difficult it must be to negotiate a project with a very long time span, of no less than 5 years to implement; and where prices then need to be negotiated for a period of 20-25 years. We're talking about projects with time frames of around 30 years. At a time when commodity prices are very low, the negotiations to finalise contracts become very, very hard. This issue explains much of the delay for going-ahead. Of course, the second step is for the operators to decide. With the contract in hand, do they have enough confidence to actually go ahead and make the final investment decision? We recently had an example where ENI, the Italian operator with a concession in the North of the country, finally came to an agreement with the Government for the first major project. That part is now complete, but they now need to decide internally if and when they'll take the final investment decision. This is the key point. They need to have trust in the country and its political stability, as well as confidence that the market will buy the energy produced by them. They're probably at the stage of finalising the offtake agreements of their gas. So only once they're through with that, both have finalised their contracts with the Government, as well as with the buyer, they will be in position to make the final decision. What is your input in all of this? What do you think about these big projects yourself as a bank in Mozambique? You know the projects very well. If you were in these investors' minds, currently talking to the Government, would you go for it or not? Well, if we look at the world, we mostly see these kinds of mega-projects arising in developing countries, with their respective problems. In my opinion, these companies are used to working in this sort of environment. They work in Nigeria, in the Middle East, in South America, so they are used to working in countries with either political issues, military issues, or the like. As such, I don't believe this will be the key criteria for them to make a decision. So will price be the key factor? Yes, I think that's the main issue and the offtake agreement for the future production. Therefore, is it a question of the Government agreeing to a price quickly, in order for things to move forwards? Yes. It will be an important step like I said before. Do you feel the government is slowing down decisions because of internal problems, or what has made things go slow, instead of simply agreeing on a price and going ahead? I don't know whether it's the Government who is slowing things down or not. What I understand is that it's a very complicated issue, in fact, like I said. If you have a 30-year contract, with the first income expected in 5-6 years, it's very difficult to negotiate. The way to differentiate ourselves is through our relationship with the customer. It has to do with proximity, service and speed of decisions. Rather than the product itself being the decisive factor, the key is to maintain a close relationship with the customer and offer good service. Let's go back 10 years. Back then, who would have thought oil prices would be at the level we see today? Imagine, therefore, that you were negotiating this contract ten years ago. That's the issue. I think nobody can say what will be the price of gas, or coal, or oil in 5 or 6 years' time. There are many studies and forecasts, but look at how forecasts have often got it wrong in the past. That's the crunch point, and we have a good example here in Mozambique, with regards to coal. We saw huge investment in coal 4-5 years ago, which is now being almost written off, because the price of coal dropped to about a third or less of this former value. Investors made their estimates, they made their contracts, they made their investment; and 3-4 years down the line, we are in the situation we are today, where coal is no longer viable, at least at this moment in time. It could well bounce back in 2, 3 or 5 years' time, but not at present. What do you have to say to these international companies? They know their business, they know their product, they know how commodity prices may change, or they don't but they are able to manage the risk involved. What do you have to say about Mozambique? You are an international bank based here, so you know the market very well. As you said, they know their business much better than I do; so they of course know whether it's profitable or not to do business here. 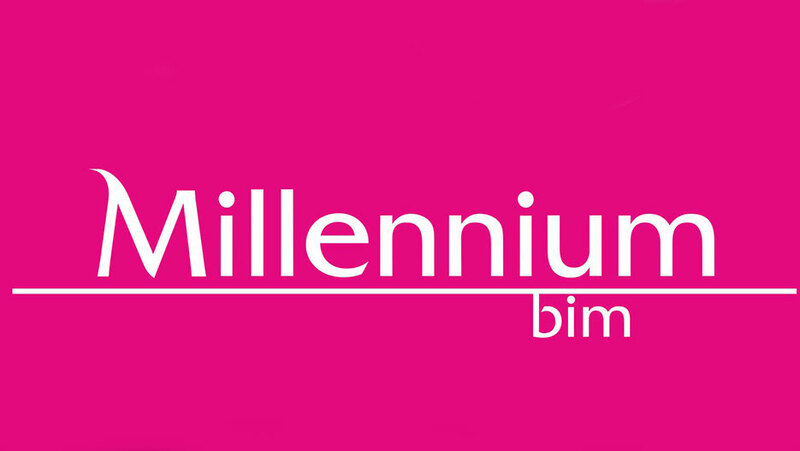 As far as Millennium bim is concerned, we are a long-runner in Mozambique. We have been here for 21 years and we want to stay here another 50, so we are not here just to make a small investment, take the profit and leave. We are here to stay, which I think is the best proof that we trust the country and we understand the country has a long way to go. If we look back over the last 10-15 years, it's true that this is among the world's poorer countries. Everybody knows that. However, this also creates many opportunities, and we have been growing a lot. We were practically the pioneers in creating the country's financial system, we brought the network and the ATMs to Mozambique, the POSs, mobile and internet banking. Whatever technology you can see in this market, we were the ones to introduce it to Mozambique. We did that because we trusted the country, we saw the opportunity and we understood that this was a country where you could do many things; where you could grow and be profitable. Millennium bim is the only bank in Mozambique among Africa's top 100 banks, we are in the 52nd position. We have more than twice the equity of the country's second bank. All this is due to the fact that we took a bet on the country at the right moment, we grew, we are very profitable, with fantastic ratios, and we're here to stay. So this is what I'd like to say to other investors: in the short term, forget about the mega projects, look instead at how the country has evolved over the past 5 to 10 years, with an average pace of growth of around 7 or 8 per cent per year. We could forecast the same for the next 5 or 6 years. If the mega-projects emerge, it will be fantastic and means we'll have a jump, thus allowing us to do many other things. But if not, we'll continue to bet in favour of the country. You forecast that the country's growth will carry on at the same pace? I think it's practically impossible for it not to. Growth has been in the region of 6, 7 or 8 per cent over the last ten years. We see that continuing. Why not? We're currently in a difficult situation, but we believe this is something we can overcome very shortly. So you think it's a short-term crisis? Yes. We should look at what's happening around the world, not just in Mozambique. All of the region's countries have more or less faced the same situation as Mozambique. The US Dollar underwent a huge increase vis-a-vis most of the currencies, which has an immediate impact on a small economy such as Mozambique's. But as soon as things start to stabilise, Mozambique will immediately recover. Where do you feel investors should come and invest here now, for the short term? What sectors would you recommend? Well, there are three sectors that clearly present big opportunities in the short term: agriculture, infrastructure and power. These three sectors are critical for the country. Agriculture, especially because Mozambique needs to replace imports of basic products critical for the country's consumption, and, some of those products have potential to be produced internally. Many basic products such as rice are imported, which doesn't make sense. Infrastructure and power are also key, because you need good roads, you need railways and you need energy, in order to do whatever it is you want to do. So, in terms of the entire infrastructure needed to develop an economy, we still have a long way to go in Mozambique, in order to attain a stable situation. Apart from that, there are also other sectors in Mozambique with a lot of potential, namely tourism and industry, or agriculture-related industry (agroindustry), which is a complement that may also create added value for products that can be produced in Mozambique, but currently aren't. These are opportunities that have nothing to do with gas or coal. What do you offer as a bank, particularly to people who are interested in these sectors and think "Ok, why not?" 7% yearly growth over the last ten years is not bad, compared to other places, even in terms of Africa; so what can you offer them? As a bank? Let's first of all put the banking sector in perspective. This is a small country, with a GDP of around US $ 17-18 billion. The total assets of Mozambique's banking system are around US $ 10 billion. Therefore, when we talk about a mega-project requiring an investment of over US $ 20 billion, you can see what we're talking about. 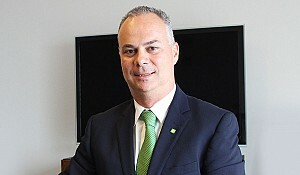 It's a very small sector: US $ 10 billion is less than 15 per cent of our parent company's total assets, in Portugal. This means that the capacity of Mozambique's banking sector to finance projects is very limited. As I mentioned, we have more than twice the capital of the country's second player, so we have more than twice the capacity to finance projects. Having said that, we cannot finance more than US $ 100 million per project or per client, because of the Central Bank's rules. Therefore, if you have a power station, for instance, which requires an investment of US $ 500 million, you won't be able to find financing in Mozambique. This is one of the country's big challenges. As a big bank in Mozambique, we try to do as much as we can in this respect. We have capital and sufficient resources to finance many projects. We have never failed to finance a project because of lack of money on our part, but it's something we need to take into consideration. So what kind of projects are you into, in terms of size and sectors? What do you finance? Well, we are a universal bank, which means we have investment banking, corporate banking and personal banking. 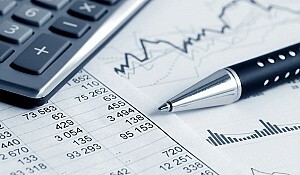 Investment and corporate banking account for around 80% of our portfolio of credit. In Mozambique we don't have a significant portfolio of mortgage loans, which is usually the category that makes up the largest share of a bank's credit portfolio. In fact, the market does not offer extensively this kind of product. This means we basically provide consumer loans, and consequently the greater part of our credit portfolio lies with companies. Out of that, the State accounts for a third, involving projects directly financed by the State or State-owned companies. The remainder is taken up by large corporations, normally operating in Mozambique or SMEs, both of which account for the majority of the credit we offer. Talking about the SMEs, which account for the largest portion, what makes you stand out from other banks? Why should they come to you? The banking system nowadays behaves more or less like a commodity. If you launch a new product today, in two or three months' time all the other banks will offer the same product. The way to differentiate ourselves is through our relationship with the customer. It has to do with proximity, service and speed of decisions. Rather than the product itself being the decisive factor, the key is to maintain a close relationship with the customer and offer good service. Some banks try to be more competitive in terms of pricing, but ultimately, if you don't have a good relationship with the client and offer a good service, the client will prefer to pay a little more, in order to enjoy better service. Therefore, our strategy is to be close to our clients, through our countrywide coverage and local branches, as well as ensuring we have a good relationship with them. Talking about banks, you recently pulled off an interesting deal with post offices, in order to amplify your network. Could you tell us a little about that? Yes. Let me talk about two projects simultaneously, and I will then go on to another. We're creating a network of bank agents, which basically involves making use of a small local business, in order to offer a special POS with special features, which can handle normal transactions, but can also accept deposits and make transfers. This makes that business an agent for the bank. Our two key objectives are: firstly to spread our presence across the country and in small local areas, including within markets and in areas where it's very difficult to set up a bank branch, and we hope to have 500 of these in place by the end of this year. We are clearly the pioneers in this regard and we already have around 40 of these operating normally, with another 40 in the pre-testing phase. The bank should look for consolidation in areas where we can add value. Of course, we have important affinity with Portuguese-speaking countries, such as Mozambique and Angola, and we should strengthen our position in these countries. Why am I talking about this together with the Post Office project? Because one thing relates to the other. With the Post Office project, we have one key objective, which is to be present in all of Mozambique's districts by the end of this year. We already cover half of all districts, and in order to grow faster we basically have two options: one would be to build small container-type branches, which we believe is not a great solution, because these are not durable enough and don't embody the image we wish to promote for our bank. As a result, we thought about a second solution, which is to take advantage of the Post Office Company’s huge network across the country. They have their own branches and they also need to refurbish some of this real estate. If we work together, instead of investing ourselves in real estate that is not durable, we will be investing in State-owned property and contributing to the recovery of State assets. By doing so, we lower our investment, while noticeably expanding our market presence very quickly. Why the agents? Because in some areas there are probably not enough businesses to even make this concept viable. In such areas, we will instead place an agent within the Post Office, thus allowing us to cover the entire country very rapidly. Could you tell me what challenges you face regarding the agents, in terms of finding the right ones; and what kind of agent are you looking for? You need 500 of these, which is a lot. But you need to be both fast and good, so what are your challenges in this respect? Well, we have 1.5 million customers in Mozambique. Therefore, our strategy is to ask our branch managers to lookout for their best customers, who own their own shop, with whom we have already worked over a certain period of time and who have a good track record, in terms of credit and transactions. We then talk to them and ask them whether they would like to become our agents. We only work with people we know, and who have already been our clients for a certain period of time; people who we trust and have a good relationship with, and those we believe have sufficient business in order to justify becoming our agent. You're probably not the first to have done this in the world, so what issues or difficulties have other banks faced when they've done this? Perhaps certain things that didn't work well and you can now learn from? First of all, we need to ensure that we cover all the operational risks that could arise, including fraud. On a positive note, today's technology provides us with tools to manage this. For instance, we place limits on the number of transactions allowed per day and on transaction amounts; we also send clients SMS confirmation to confirm that the transaction was actually theirs. We put in place several warnings and tools, in order to ensure we control activity and prevent fraud, since our reputation is on the line here. This is the main issue we need to take care of. Secondly, there's the business issue. We need to be sure that the person in question is able to develop the business, in a way that justifies him or her becoming our agent, as our Economics need to be sound and we need to be certain that our agent is someone who understands the basic concepts of banking. We also provide training, in order for that person to become a salesman. You said that one of your main assets or strengths lies in the human relationship you have with the companies and people you work with. As such, you need a suitable human resource in your banks, in order to differentiate yourself from competitors, as banking becomes a commodity. What's your main challenge regarding your human resource? What exactly are you looking for and how do you attract the best candidates, as every bank must want them? Yes, of course, it's not rocket science: Innovating isn't easy, and everybody is clearly looking for the best people. First of all, we need to leverage our brand. We are among Mozambique's largest companies, so it's normal that when young graduates leave university and ask themselves where they'd like to work, they tend to look for the best companies. One of the things we need to do, therefore, is to ensure we are at the top of these graduates' minds, as their employer of choice when they come out of university. Again, communication here is vital, both in terms of promoting a product and raising brand awareness. These guys tell themselves: "Ok, these guys make a lot of noise, so they're probably good; they're big." Leveraging our brand is therefore a key theme. But how do we do that? We need communication, we need to make presentations at the best universities, as well as having an agreement in place to collect tuition payments from students, in order to create awareness and visibility among this young group. 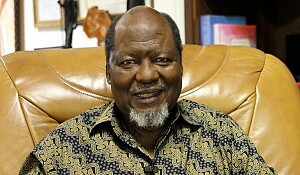 Secondly, we have to seek people out in the market, through executive search companies, while offering a career, a good salary and selling our bank's strength, as Mozambique's top bank, with strong financial fundamentals; with the message that we're here today, and we'll still be here in 15, 20 or 50 years' time, which means you'll be able to see your career develop without any major worries. Are you interested in recruiting portable people from abroad, such as banking experts or those offering something you may need specifically? In order to cope with that, we essentially bring in expats. We belong to a Portuguese group, so we have around 20 expats here. If we need expertise in a specific area, we bring somebody over, either to stay for two or three years, or to take part in a three to six month project. We make use of our mother company to source this kind of expertise and cover any such shortfall. We also search for young Mozambicans who are studying abroad, in South Africa, Portugal, London, or wherever; and we try and attract them back home to work with us. That's something we also do to strengthen the quality of our local employees. You recently sold your operation in Romania. 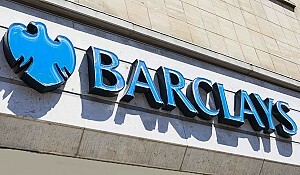 What’s the bank's strategy over the next two or three years? Are you seeking to expand into new markets, or be present in other Portuguese-speaking countries? Where are you headed? 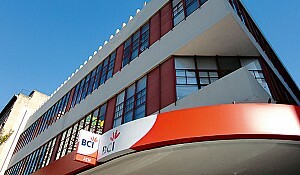 The BCP Group grew very rapidly during the final decade of the last century, which contributed to significant consolidation in the Portuguese market, as well as expansion abroad. We were present in many countries, but then the Group faced the financial crisis. Like many other banks, we needed to restructure, and we sold a couple of operations: We sold Romania last year, we sold Greece, Turkey, United States. 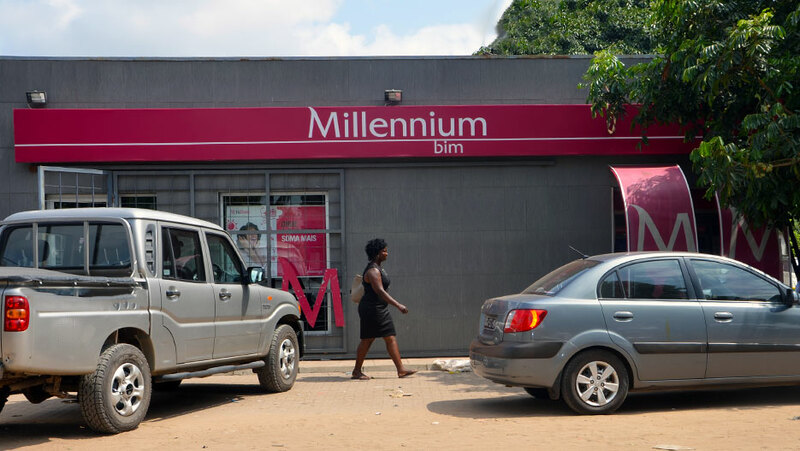 Millennium bim has had a very good story in Mozambique, so we have always been the best and biggest bank in the market here. In the past five years, we won the FT's best banking international award, as the best bank in Mozambique. We're now concentrating on four markets: Portugal, Poland, Angola and Mozambique, where we have a strong presence. The idea now is for us to focus on these four operations, in order to turn the bank around. Why do I say that? Because, as you may know, our bank in Portugal needed to ask for help from the EU, and we received financial assistance as a result. 75% of that help has already been repaid, and we aim to reimburse the remainder this year. Therefore, the group's main goal for 2016 is to pay back the outstanding financial aid, which is forecast for this year; after which the bank will be free to change its strategy and start expanding again. Last year saw a key turning point, as we returned to profit. In contrast to the previous three years, the group once again began to make profits, by breaking even in Portugal itself and reclaiming profitability across all our operations. As soon as you're done with that, could you imagine yourself in 2017? What would be the possibilities for you to expand, or not, as the case may be? In a year's time, what would be the key area you'd like to focus on? As you can imagine, this is a matter for shareholders to decide. My thoughts are basically that the bank should look for consolidation in areas where we can add value. Of course, we have important affinity with Portuguese-speaking countries, such as Mozambique and Angola, and we should strengthen our position in these countries. I know that the group has also looked at Brazil in the past, but Brazil today is probably not the most attractive country to look at, at least for the next few years. As I mentioned, we also have a strong operation in Poland. You may say it's a little strange that we work there, but these are in fact countries where we can still make a difference, as with Romania. I was in Romania before coming to Mozambique and I had a fantastic experience. Unfortunately, we arrived in Romania at the worst possible time, right in the middle of the financial crisis, which is why we had to close our operation there. But if we were looking to Romania again today, we would probably say: why not? What would you like the bank to be in 3 years' time, if everything goes according to your plans and based on what we currently know? Therefore, when we look towards another 3 to 5 years, the first thing I should say is that we want to continue being Mozambique’s best and biggest bank, since our advantage is clear. We want to be the bank with the greatest strengths, in terms of ratios, with a Capital Adequacy Ratio (CAR) that is clearly the best in the market, as is currently the case; with the biggest equity and the biggest capacity to provide credit, as well as being the best place to work, in order to attract the best talent; with the best credit portfolio and a clear presence in all of Mozambique's districts, across the entire country, and serving the greatest possible number of customers, as well as taking part in the country's main projects. As we all expect, Mozambique will be developing some major projects in a couple of years or so, and we want to be there. Although we won't be able to finance the large investments, since we don't have the capacity for that, as I mentioned earlier, we can at least be the commercial bank of choice, and be in a position to finance and support the entire value chain around these mega projects, thereby clearly continuing to be Mozambique's bank of reference.